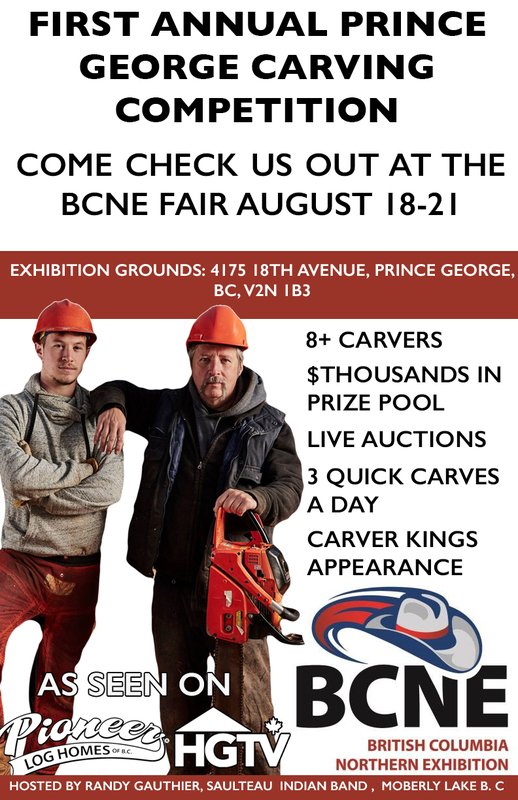 This Chainsaw Carving Competition was put on by Randy and was held at the huge BCNE Fair where 8+ carvers(click here to see some) including Paul Frenette and Jacob Frenette(guest Carving) from hgtv’s carver kings. This was a prime example of how well received chainsaw carving events are in every part of Canada. The crowd in the BCNE loved us, and were ecstatic at the daily auction of the 2 a day quick carves from some of the best wood in Canada and the best carvers. It is amazing what can be done in 3 days, a flurry of adrenalin, hot sun, rain thunder we do it all. All for the sake of art and for you we couldnt do it without you. Its important that you guys get involved and find a way to reach out to us or any carver and help spread the word about this wonderful art. These events continue to grow every year and bring in massive money for the events and helps the carvers grow in their art. I think its important to see the effort and skill that goes into doing these events and the best way to do that is to get out to one.